The problem with the stories about finance is they’re often based on speculation. People want to know what’s going to happen with their money and what they want to happen with their money. For the most part, when people look into the future they’re right about what will happen, just not when it will happen. Hence the popularity of products like guaranteed investment certificates and fixed mortgage rates. Well, not that soon. At the current rate of growth, it’ll take about 24 years for that to happen. And if paying $21-million for a house sounds crazy to you—even in 24 years’ time—that’s because it is. Consider the following: $21-million is about 42 times the current national house price of $502,000. House prices in Toronto, for example, have increased by a factor of only about 16 times since the 1970s. With the steady march of time and inflation, house prices will probably average $21-million one day, but there’s also a chance that technology will have advanced to the point that houses will become obsolete. Chances are the current conditions driving the housing market (namely land use restrictions, low mortgage rates, and possibly foreign investment) aren’t going to last forever. A much more likely outcome is a soft landing in time for the year 2040. The credit card Tangerine unveiled back in October has finally arrived. The Tangerine Money-Back Credit Card is the first credit card from the well-known digital bank and it’s already one of the most attractive no-fee cards on the market. If you’re worried about missing out because you don’t do your everyday banking with Tangerine, you might be happy to find out it’s a common misconception that you need to have an account with a bank in order to get its other products. The truth is regardless of where you do the majority of your banking you can get a credit card, mortgage, savings account, or investment from any financial institution as long as you meet their criteria. There are great deals to be had by shopping around, so go get them! Canadians are divided about the devices some car insurance companies have customers install in exchange for discounts. In Winnipeg, the chamber of commerce is pushing the provincial government to promote a usage-based car insurance system as a means of convincing people to rely less on their cars. The scheme would use telematics devices to track how much people drive, and base their insurance premiums on the data. But over in Nova Scotia, a recent report shows drivers have been reluctant to take advantage of the discounts available with telematics due to privacy concerns. If your main worry is that your telematics device will be used against you after a crash, your car will probably do that for you anyway. Most late-model vehicles have trip computers that track data like your speed and trajectory, and save that information in the event of a collision. Furthermore, most insurance companies who use the devices explicitly state they can’t be used to deny a claim or raise your rates so you’re probably better off to take the discount where you can get it. If you’re among our younger readers, “what investments?” might well be your answer. A recent report shows American millennials expect their banks to help them take care of their financial decisions, and aren’t necessarily looking actively to do things differently when it comes to their money. This side of the border, twenty- and thirty-somethings are looking for ways to improve their banking and investing. They just don’t want to talk to anybody in the process. That’s why young Canadians are more likely to compare financial products online, and are starting to test the waters with online investment services like Wealthsimple, but many simply haven’t started yet. 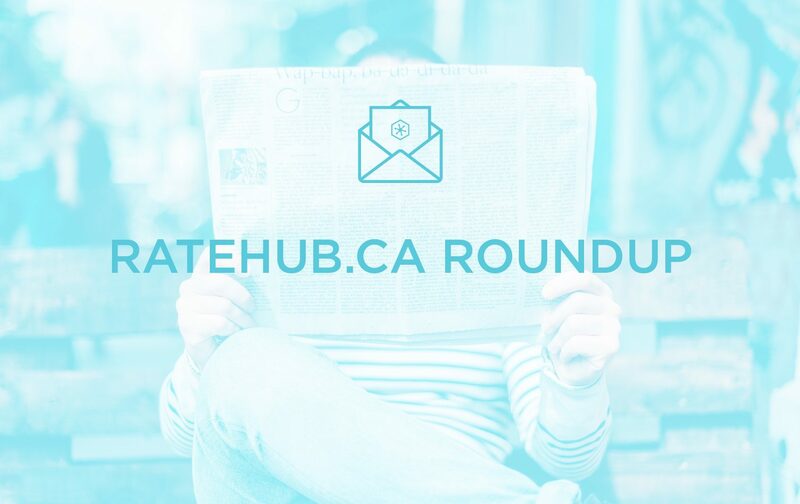 Here at Ratehub.ca, we see a spike in users comparing GIC rates and high-interest savings accounts in January (I call it the gym membership effect), but you don’t have to wait until the new year to get started. Blah blah blah, I’m moving to Canada! Realtors in Prince Edward Island are taking Americans who are threatening to move to Canada seriously, and are looking for support from the government in marketing to Democrats and Republicans who would rather threaten to move away than rally for a preferred candidate. In addition to asking for marketing dollars, the president of the PEI Real Estate Association has also suggested eliminating a property tax rule that has non-resident owners pay a higher rate. Whether there’ll be a northbound mass migration is a different story. Of the 260,000 new permanent residents Canada accepts every year, about 8,000 come from the United States. Still, if these dreams come true, the people of Vancouver who blame foreign real estate investment for their woes will be happy to her about P.E.I. relaxing its rules and taking a bit of the heat off them. 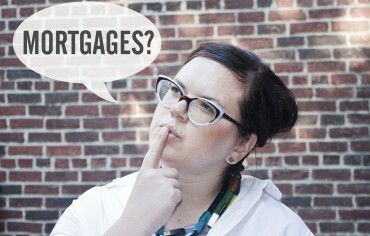 Do you understand the penalties associated with breaking your mortgage? CTV News Toronto recently aired a consumer alerts story on mortgage penalties and visited Ratehub.ca to get our opinions on how to calculate the interest rate differential and what questions you should ask when getting a mortgage. What are the 5 best cities to travel to using your Aeroplan Miles? We’ve done the math in our latest infographic. If you prefer Air Miles to Aeroplan, here’s an infographic by our team that highlights 5 rules for redeeming your Air Miles to get the most out of your rewards. And congratulations to Ruben Pereira who won our contest for a $50 Starbucks gift card! The contest has closed but you can still read our breakdown of the new Starbucks Rewards program.